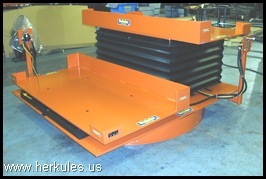 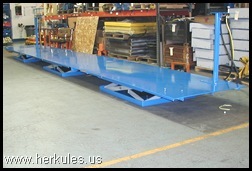 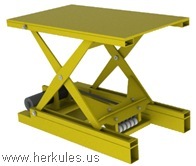 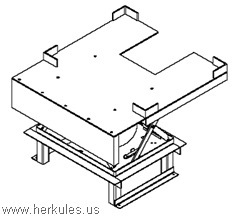 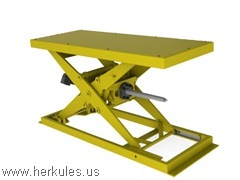 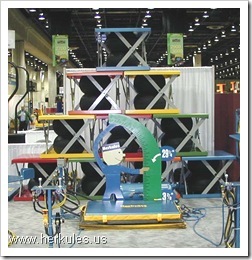 (10033) Herkules Power Rotate-Multiple Position System allows assembly workers to retrieve parts continuously by easily rotating a full bin to within operational reach, keeping production on schedule. 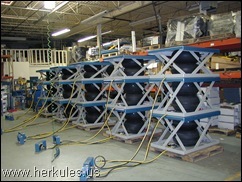 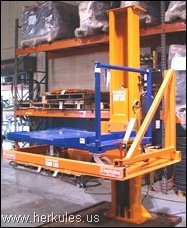 The rotating base is air-powered with a spiral gear, and is equipped with an outer ring of support casters for offset loads. 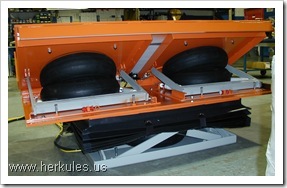 The power rotating function is bi-directional and provides 360 degrees of operation with zero effort positioning.